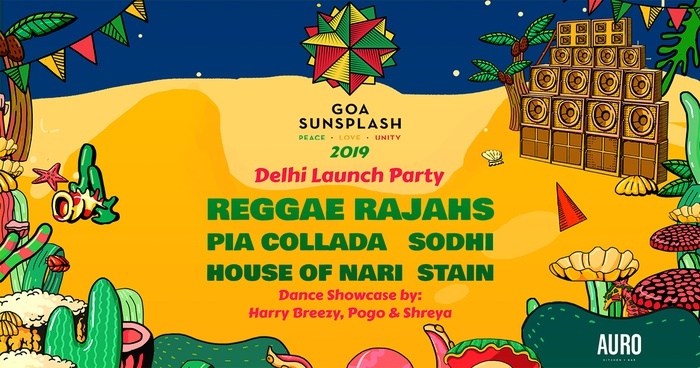 Goa Sunsplash 2019 Delhi Launch Party! Published on Nov. 25, 2018, 2:21 p.m.
We're kicking things of in mama India with the official New Delhi Launch Party for Goa Sunsplash, India's largest celebration of reggae music and culture. If you love reggae, dancehall and sound system culture in general, this is one event you don't want to miss! Reggae Rajahs will be making a rare appearance together in their hometown especially for this party. Supporting them musically will be House of Nari, Pia Collada, Stain and Sodhi. In what will be an action packed evening, expect to see some of India's finest dancehall dancers in action including Jahnavi Sheriff, Harry Breezy, Pogo & Shreya.